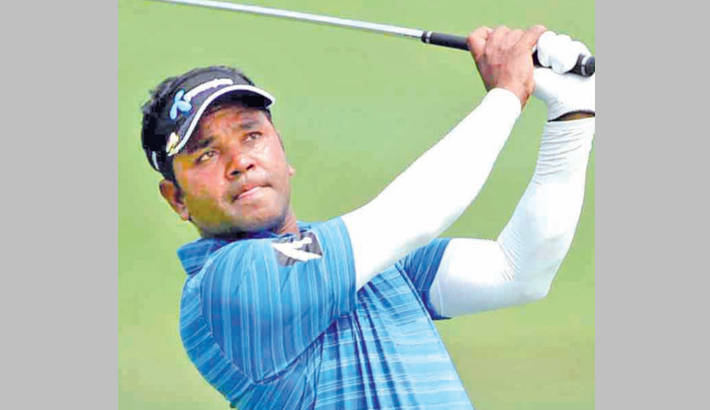 Local hero Siddikur Rahman will aim to bounce back from an uncharacteristic lackluster season on the Asian Tour when he headlines the AB Bank Bangladesh Open which gets underway on Wednesday, reports Asian Tour. Siddikur, a two-time Asian Tour winner, made only one cut in four starts on the region’s premier Tour this season but kept up his hopes of putting up a good showing as he relishes home course advantage at the Kurmitola Golf Club. The 33-year-old Siddikur will also draw confidence from his recent success on the Asian Development Tour (ADT) where he claimed his second title at the Kurmitola Golf Club in January before securing another tied-sixth place finish on the same venue two weeks ago. “I am really excited for this week. This is the fourth consecutive edition of the Bangladesh Open and I am very happy to see the tournament back on the Asian Tour schedule. I think the other professional golfers in the country are equally happy too,” Siddikur said. He added that he is feeling confident for this week because he has won on this course again for his second ADT title earlier in January. He opined that the golf scene in Bangladesh has really improved over the last few years, especially with the addition of two events on the ADT this season. Siddikur thanked all sponsors for their support and commitment in golfing sector.